Hi, I am your go-to guy if you want to get things done in Vietnam. I can help you produce garments in Vietnam based on my 10 years experience working here and my broad network of Oeko Tex textile companies in Vietnam. Hi my name is Chris. I prepare you to work with Oeko Tex textile companies in Vietnam. I introduce you to them and help you every step of the way including quotation, sampling and production. I’ve been assisting brands like Max Studio and Calvin Klein since 2008. My passion is working with energetic startups. I'd like to hear your story and help you if I can, please answer a few questions and let's schedule a free 30 minute Skype chat. They buy yarn and then knit it for you. They dye it to your pantone color. Then they cut and sew according to your designs. 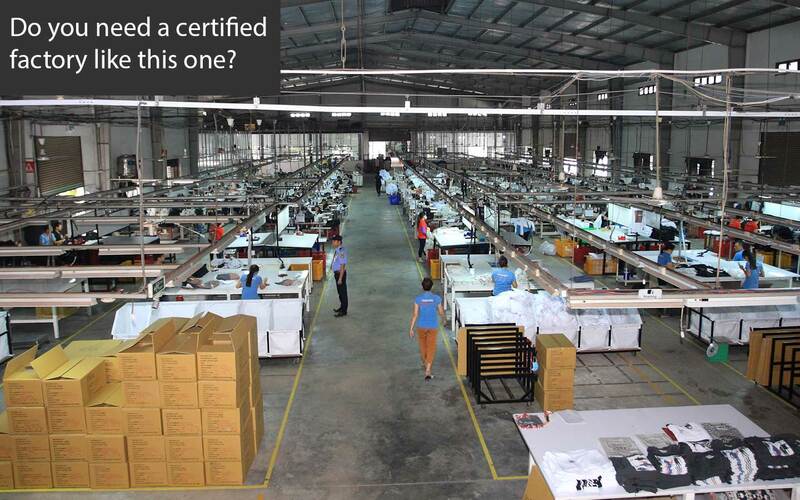 Are you sourcing a certified textile company in Vietnam? Are you producing base layer, long johns, or thermal underwear? Do you require Oeko Tex certified fabric? Thai Son can produce Oeko Tex fabric in Vietnam. Basically, base layer, long johns and thermal underwear are all very similar and use flat lock stitches. They have more than 50 four needle six thread flat lock machines and their operators are experienced at making base layer, long johns or thermal underwear. They can source cotton, polyester, spandex, viscose, bamboo or merino wool yarn and blend them to meet your fabric requirements. If you need finishes like anti-microbial, anti-static, moisture wicking or silicon wash, they can do it. Hi, my name is Chris Walker and I work for Thai Son S.P Co., Ltd. They are an Oeko Tex Textile Company in Vietnam that produces fabric and offers FOB pricing. Their strength is men, women & children styles that use circular knitted fabrics and embellishments like embroidery, screen-printing, and applique. They have 15 sewing lines and 2 sample lines. They have over 22 years working with customers in Russia, America, France, Germany, Australia and Poland. Currently, they have two production facilities in Ho Chi Minh City. Please send us your tech packs with order quantities so they can do some initial costing and see if they are a good fit for your target price. 7. Stones: sew-on stones, glued-on stones. 2,000 pcs per style up to 150,000pcs per style. 60-150 days depend on order's quantity, design & requirements. 4. Oeko-Tex for rubber printing. AQL 1.5, 2.5, 4.00 for current buyers. How do we get started working together with you? Thai Son makes garments from your designs; so they need a tech pack from you. When we receive the tech pack we can estimate the price. If you provide them with a target price it will be much easier for them to quickly decide if it make business sense to work together. Send Thai Son S.P Oeko Tex textile company in Vietnam your tech packs today! There is a specialty grocery store which sells non-food items at a low price with good quality. They are owned and managed by Jeronimo Martins. Vietnam supplys them with basic thermal underwear's using flat lock seams and Oeko Tex Certification. They are happy with the quality and price from a Tex textile company in Vietnam and place repeat orders each season. The buyer is the largest Food Distribution Group in Portugal and Poland. Every day they welcome millions of customers to their Pingo Doce Supermarkets and Hypermarkets, Recheio Cash & Carries. Basically, it's when a factory decides to do the designing for you on their dime. How much does an effective ODM strategy for sewing factories cost and what is the pay off? The cost to design and produce the collection should range from 5,000 to $8,000. 80% of this expense would be used for hiring a designer experienced with the hobby you have chosen. 20% would be used to produce the garments. Then you would have to spend $15,000 for each trade show. The $15,000 will pay for flights, hotel, booth fees and hiring a local sales person who is a member of the hobby group you have chosen AND speaks the local language. My advice would be to produce one collection and show it at three trade shows: one in Europe, one in America, and one in China. So, in total an ODM investment would be around $55,000. What is the pay off? If you can get 5 FOB customers who order a total of 100,000 garments and each garment has a profit of 50 cents then your ODM campaign can be profitable after one year. What is the real purpose of doing an ODM campaign? It is NOT to become a famous design house and sell your designs. Garment manufacturers are not experts in design, branding and marketing. A Vietnamese sewing factory will never be a Lacoste or a Nike. The ultimate goal of an ODM campaign is to get more FOB orders.